Home > Posts > News > Economic life > Inauguration of the EMLYON Business School Paris campus and its ONLYLYON Café! Created in 1872 by Lyon’s Chamber of Commerce and Industry, EMLYON Business School values an entrepreneurial spirit, innovation and humanism. As part of its development strategy, the school opened a new campus in Paris near Gare de Lyon in September 2016. It was inaugurated on Tuesday 15 November. The 5500 sq. m Paris campus offers an international context for learning as it is open to Europe, Asia, Africa and the United States. It is also equipped with the latest digital technology and infrastructure, such as the Learning Hub (digital library). It includes a company incubator and a FabLab, which have been tried and tested in Lyon. An ONLYLYON Café in the heart of Paris! 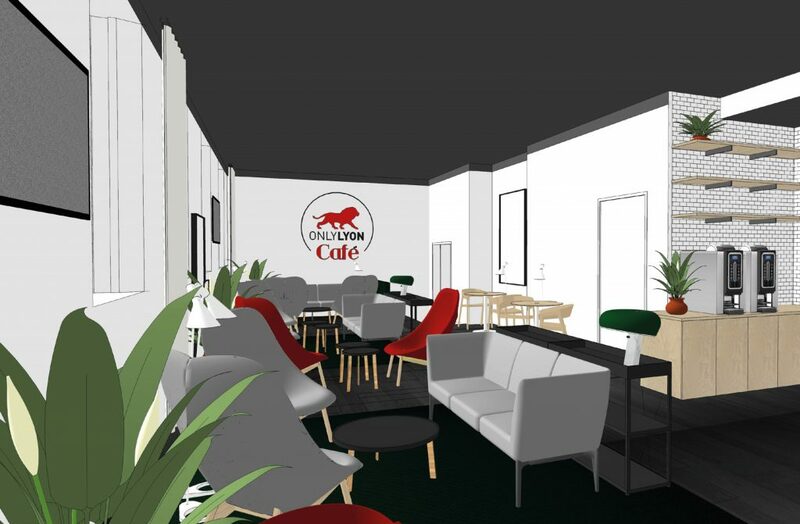 The EMLYON site also houses an original and unprecedented initiative: the ONLYLYON café. Located on the ground floor of the Paris campus building, the café will be open from 21 November to ONLYLON Ambassadors, graduates and partners of the school. There will be a lounge and a networking area. Patrons can bring a friend or invite clients or colleagues to join them. This beautifully-designed and convivial space will be accessible using an unlimited badge system. In reality, it is an anti-café, in so far as customers will pay 5 euros per hour for access to hot drinks, cold beverages, cakes and newspapers from Lyon as well as national and international publications. The ONLYLYON Café will also offer tastings of Lyonnais specialities with bona fide artisans presenting their gastronomic delights in person. Visitors to the ONLYLYON Café will be able to catch up on the city’s current affairs in real time, particularly those concerning economic and cultural events.